NEW DELHI — Indian Prime Minister Narendra Modi's government on Friday announced cash handouts for small farmers, a pension scheme for informal workers and a doubling of tax relief for the lower middle class in an interim budget designed to shore up its popularity ahead of national elections due before May. 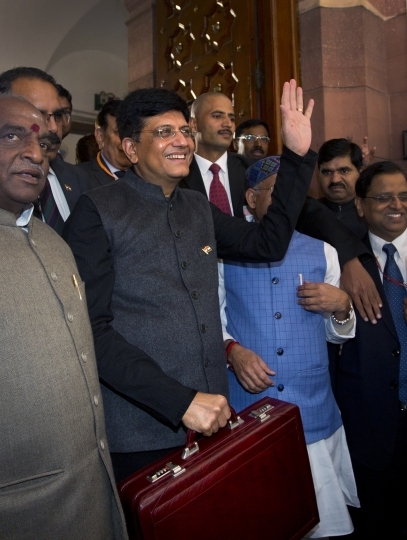 Finance Minister Piyush Goyal presented the budget to Parliament amid media reports that the government was suppressing data showing the country's unemployment rate has hit a 45-year high of 6.1 percent. The government says the data is premature and official figures will be announced in March. Goyal said farmers would be paid 6,000 rupees ($85) annually, benefiting as many as 120 million households. About 100 million workers in informal sectors would receive a monthly pension of 3,000 rupees ($40) after retirement at age 60. 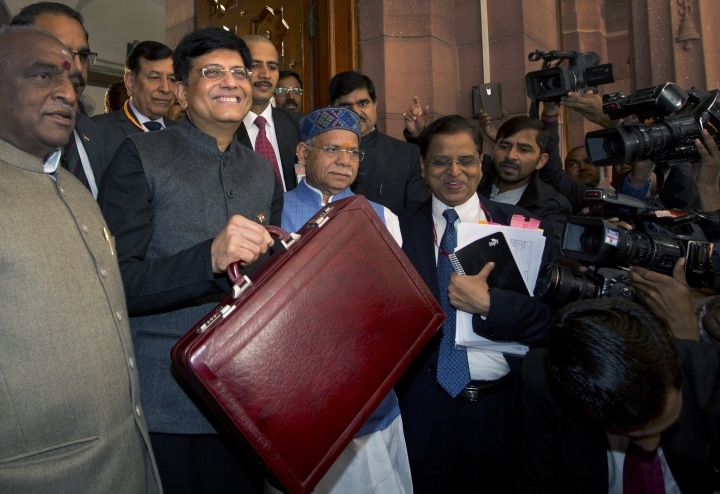 The budget doubled income tax exemptions for those earning up to 500,000 rupees ($7,142) a year from the existing 250,000 rupees ($3,571). The decision would benefit 30 million lower earning taxpayers, Goyal said. The government allocated 305 billion rupees ($4.3 billion) for defense during the 2019-20 financial year, a small increase from 285 billion rupees ($4.0 billion) in the current financial year, which ends in March. "It's not going to make much difference in terms of critical purchases of defense equipment," said Rahul Bedi, a defense analyst with Jane's Defense Weekly, a magazine reporting on military affairs. 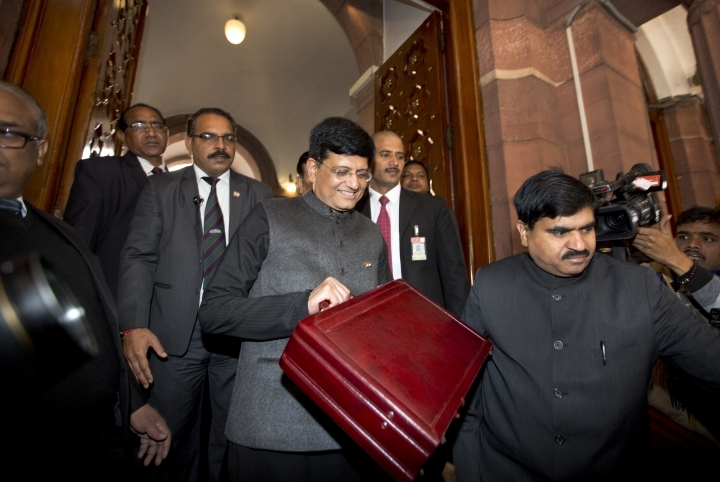 This was the last budget of Modi's government, which will be seeking a second five-year term in national elections in May. The new government will determine the full-year budget for 2019-20. 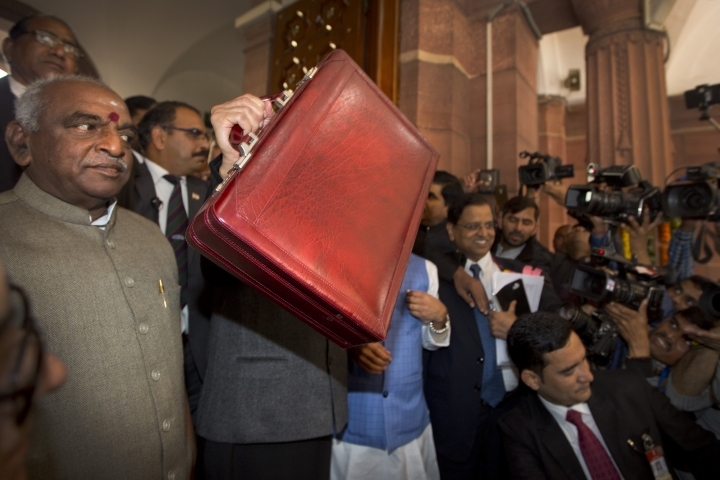 The interim budget focused mainly on farmers, who comprise more than 60 percent of India's 1.3 billion people, and can sway the election's outcome. They have been demanding higher prices for their produce and a government waiver on farm loans to alleviate hardship. Some have been driven to suicide by mounting debts for purchases of seeds, fertilizer and feed for their cattle. A report by a business newspaper on Thursday said the government was suppressing a survey showing that the country's unemployment rate had hit a 45-year high of 6.1 percent, nearly double the 3.41 percent rate when Modi's government took office in 2014. Two top members of a government statistics panel resigned last week, accusing the government of delaying the release of the job data. 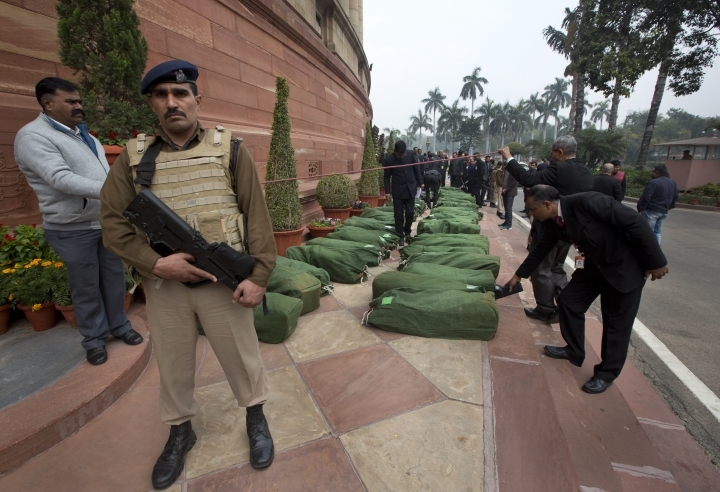 The Indian National Congress and other opposition parties vehemently raised the issue in Parliament on Thursday. Rahul Gandhi, the Congress party president, reminded Modi of his promise when he took over as prime minister in 2014 to create 20 million jobs every year. Gurcharan Das, a writer and the former head of Proctor & Gamble in India, said he regretted that Modi had not fulfilled that campaign pledge. But he described Friday's budget as "politically very smart." 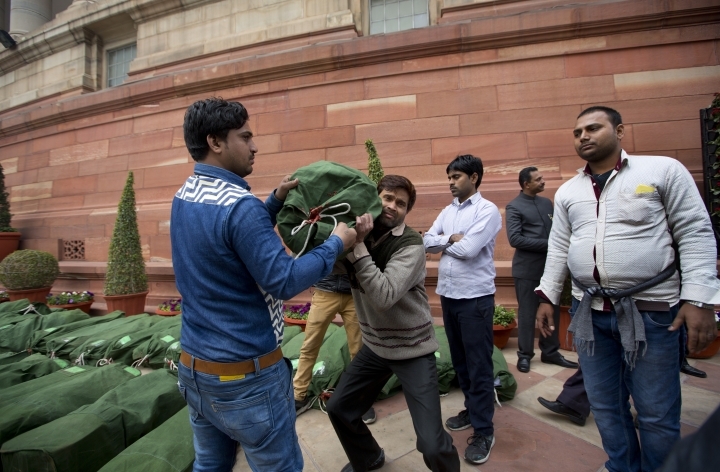 The handouts were announced a month after Modi's ruling Bharatiya Janata Party lost power in three key state elections, suggesting he is losing popularity. However, BJP is still considered the front-runner in the coming polls. Modi's government has highlighted improvements in sanitation and provision of electricity and expansion of public welfare provisions as achievements during his tenure. But progress has not been as fast or extensive as promised.